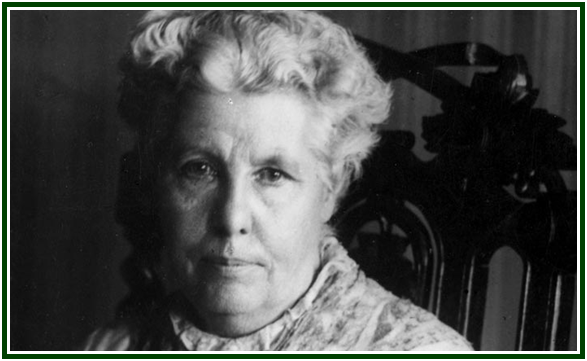 In 1894-95, Mrs. Annie Besant obtained a significant amount of political power over the Adyar Theosophical Society. Although she was comparatively new to the movement, she achieved it by accusing one of the its main founders, William Judge, of forging messages from the Mahatmas. While accusing Judge, though, Mrs. Besant was herself taking part in mediumistic talks with false Masters from June 1894, during meetings presided by Mr. Alfred Sinnett. Mr. Sinnett was proud to state the fact in writing, and he has never been contradicted. Instead, he was nominated by Mrs. Besant and elected as international Vice-President of the Adyar Society. In her mediumistic activities, Mrs. Besant was accompanied by Mr. C. W. Leadbeater. It should be also taken into consideration that Mr. Leadbeater was not a member of H.P. Blavatsky’s Esoteric School as long as H.P.B. lived. He had ceased to be a disciple before the creation of the E.S. in 1888. During the late 1880s and early 1890s, Mr. Leadbeater was a leading member of that mediumistic “inner group” of the London Lodge which worked under the direction of Alfred Sinnett. By then Sinnett already followed a line directly opposed to the work of Helena Blavatsky. It was in that environment that Mrs. Annie Besant sought for inspiration after H.P.B.’s death in 1891. There she developed her “psychic powers” and started to talk to various false Adepts. When the last living Founder of the movement - Henry Olcott - died in 1907, Mrs. Annie Besant was finally free to accelerate her talks to imaginary Adepts. Karma is not always slow in its ripening. 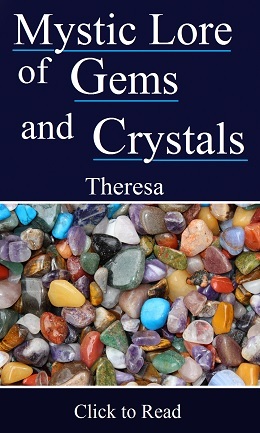 A few years after accusing Mr. Judge of “forging false contacts”, Mrs. Besant started organizing a Catholic Church, adopted various neomasonic rituals, and announced the immediate Return of the Christ. She also had personal talks with the Manu of the present humanity, and to the “King of the World”. “When first the charge to work for the Freedom of India was given to me - in 1909, by the King at Shamballa (..…)”. (p. 1) This was a reference to her “King of the World”. At p. 2 of the same pamphlet, she refers to the personal contacts she had had with the Rishi Agastya since 1913. Statements like these are but a tip of the iceberg. Five years earlier, in 1925, Mrs. Besant had announced she was herself an Adept or Mahatma, along with other Adyar leaders. This episode and its context are narrated in the following text by Ms. Mary Lutyens, the official biographer of Mr. Jiddu Krishnamurti. It was not enough for Mrs. Besant to have talks with imagined Adepts; she wanted to think she was One of Them herself. Krishnamurti was supposed to play the role of “Mr. Christ” as ascribed to him by Besant and Leadbeater. After much hesitation, he refused to do so from 1929 on. In the following paragraphs by Ms. Lutyens, the expression “The Lord” is a reference the “returned Christ” created by Mrs. Besant and who Krishnamurti was still making an effort in 1925 to impersonate before the public. The text is reproduced from Mary Lutyens’ book “The Life and Death of Krishnamurti”, published by Krishnamurti Foundation India, at Chennai, first edition 1990, 232 pp., Chapter 7, pp. 54-56. Ms. Lutyens refers to Krishnamurti with the word “Krishna”. In the transcription below, we use his full name. We add a few explanatory notes. See for instance the volume “Autobiography”, by Alfred P. Sinnett, Theosophical History Centre, London, 1986, 64 pp., p. 48. Parcels of land had been given to Krishnamurti for his work in many parts of Australia, and a great white stone amphitheatre had just been built on a glorious site on the edge of the harbour at Balmoral, close to The Manor, where it was expected the Lord would speak when he came. This and the land were held by different trusts at Krishnamurti’s request. By June the specialist considered Nitya  well enough to travel. 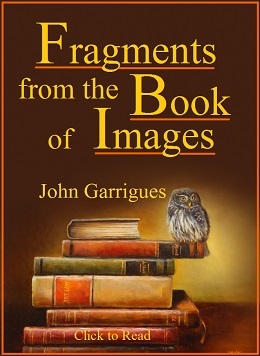 When the brothers sailed for San Francisco on 24 June , with Rosalind and a Theosophical Swedish doctor, I felt that the light had gone out of my life forever. My mother , who had supposedly passed her first initiation in Sidney, had already returned to England, leaving Helen, Ruth, Betty and me at The Manor. It was a fearful voyage as Nitya grew weaker and weaker. Towards the end of it Krishnamurti wrote to Mrs. Besant: “We will pull through and Nitya will be well once again. It has been and is a most anxious time, my own beloved mother, but you and the Masters and there.” After only a fortnight at Ojai of daily Abrams’ treatment, Nitya’s condition had improved. The remission was short-lived, however, and for the next three months all Krishnamurti’s energies were taken up in nursing him as he became too ill to get out of bed at all. Krishnamurti would have despaired if he had not been assured by both Mrs. Besant and Leadbeater that the Masters would not allow Nitya to die; his life was too valuable. In the meantime Mrs. Besant had gone to England with Shiva Rao to give lectures at the Queen’s Hall. George Arundale, who had been on a world tour with his wife, Rukmini, was staying at a Theosophical community at Huizen in Holland, not far from Castle Eerde, run by a Theosophical bishop of the Liberal Catholic Church, James Ingall Wedgwood. A young Norwegian called Oscar Kollerstrom, a former pupil of Leadbeater in Sidney and a priest in the Liberal Catholic Church, was also at Huizen. Arundale telegraphed to Mrs. Besant in London to say that amazing things were taking place: Oscar had just taken his third initiation, Wedgwood his second and Rukmini her first; kundalini had just been awoken in Wedgwood and Rukmini. (Arundale was already a second initiate and he and Oscar both claimed clairvoyance.) After another exciting telegram, Mrs. Besant cancelled her Queen’s Hall lectures and went to Huizen, accompanied by Esther Bright, Lady Emily, Shiva Rao and Rajagopal. Two days after Mrs. Besant arrived, on 26 July, Arundale was ordained a priest, Miss Bright, Lady Emily and Rajagopal were said to have taken their second initiation, and on the night of 1 August, Arundale and Wedgwood took their third initiation and Rukmini her second. On the 4th, Arundale was consecrated a bishop. Leadbeater’s consent for this step had been requested by cable; when no reply came, Arundale asserted that he had received Leadbeater’s “cordial consent” on the astral plane. When they returned from the ceremony Mrs. Besant found a cable from Leadbeater strongly disapproving of the step. None of the Huizen steps was ever confirmed by Leadbeater. On the night of 7 August, Krishnamurti (at Ojai), Jinarajadasa in India , Arundale and Wedgwood were said by Arundale to have taken their fourth or Arhat initiation, and two nights later Arundale “brought through” the names of ten of what he said were to be the Lord’s twelve apostles. These were Mrs. Besant, Leadbeater, Jinarajadasa, Arundale, Wedgwood, Rukmini, Nitya, Lady Emily, Rajagopal and Oscar Kollerstrom. Krishnamurti had not been consulted but it was taken for granted that he would know all about it on the astral plane. In the June issue of the Herald  Arundale had announced that Krishnamurti would not be able to attend the Ommen camp that year because of Nitya’s health but that Mrs. Besant and he would be there and he hoped that everyone would consider it a special duty to attend. There were few cancellations, therefore, and on 10 August the Huizen party moved to Ommen where the camp and Congress were opened that afternoon (Mrs. Besant stayed in the Castle). At a talk next day Mrs. Besant announced publicly that the Lord had already chosen his apostles but that she was only allowed to give out the names of seven of them, those who had already become Arhats - herself and Leadbeater, Jinarajadasa, Arundale, Krishnamurti, Oscar Kollerstrom and Rukmini who, she was assured, was to become Arhat in a few days’ time. It was not until it was pointed out to her afterwards that she realized she had left out Wedgwood and named Krishnamurti as one of his own apostles. She rectified these mistakes in another public talk on the 14th. The camp broke up that day and the Huizen party returned there. Arundale kept saying excitedly, “I know something else has happened but it seems impossible.” The next morning Mrs. Besant called Esther Bright, Lady Emily, Rukmini and Shiva Rao into her room and shyly told them she, Leadbeater, Krishnamurti, Jinarajadasa, Arundale, Wedgwood and Oscar had all taken their fifth and final initiation on the night of the 13th, but it was to make no difference to the way they were to be treated. Lady Emily had been caught up in the hysteria of that time at Huizen and had written enthusiastically to Krishnamurti about it. He cabled back, asking whether Leadbeater had confirmed all these happenings. She cabled in reply that Mrs. Besant herself was making the announcements, adding “Put your faith in her”. Nitya: Krishnamurti’s brother, who was ill and who would soon die in spite of false Masters saying they would cure him. Jinarajadasa. In her book, Mary Lutyens uses the abbreviated form “Raja” to refer to C. Jinarajadasa. “The Herald of the Star”, the magazine especially created for the theosophical “Christ”, or “the Lord”. In order to go on trying to play the social role of Christ, it was of course not convenient for Jiddu Krishnamurti to tell the public the truth about the false initiations ascribed to himself and others.